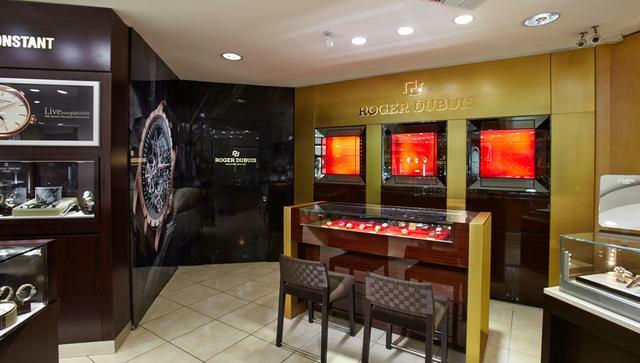 The 1,200-square-foot boutique has a traditional look with a variety of watch brands showcased on the perimeter and jewelry featured in the center island. Bell & Ross, Frédérique Constant, Luminox, Oris, Ulysse Nardin and many other well-respected watch brands are on display. Jewelry brands by Belle Etoile, Hidalgo, and Nina Nguyen and writing instruments by Montegrappa are also represented, as are watch winders, boxes and accessories by Under- wood and Wolf1834. According to a company spokesperson, Ulysse Nardin is one of the store’s most popular brands, with its large selection of time- pieces in a broad range of styles—including those with complicated movements. Little Europe Jewels & Time recently sold a Ulysse Nardin limited edition Trilogy set. Other popular brands include Richard Mille, Roger Dubuis, Franck Muller and Tissot. In 2013, the company took on several new brands, including Richard Mille and Franck Muller and in 2015 added SevenFriday and Tissot to its brand list. The pre-owned watch segment of the business is growing and has become a popular attraction at Little Europe Jewels & Time. The company accepts watch trade-ins from its clientele on a regular basis. Shoppers at Little Europe Jewels & Time range from neophyte watch afficionados to those who own 10 watches and more. In addition, celebrities and other public figures passing through Aruba make the store a destination during their visit, and they come back for both the service and the quality of the merchandise available. 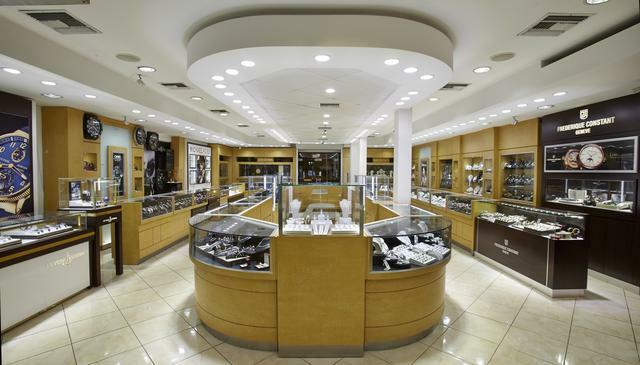 Both Time Square Jewels & Time and Little Europe Jewels & Time have service centers in Los Angeles and New York, making it accessible for customers who made a purchase on vacation to have their pieces taken care of closer to home. The company’s staff of 18 are highly trained via watch magazines, brand trainings and administrative feedback, and they make customer service their number one priority. According to Girish, the holiday season is the store’s busiest time of the year, since so many people are traveling to this region during that time. Local customers make up about 5 percent of the store’s visitors, while national customers comprise 75 percent and international customers about 20 percent. Little Europe Jewels & Time annually participates in the Aruba International Film Festival (AIFF), which has become high on the list for members of the film community because of its great location and its potential for growth. As for philanthropic commitments, the company is very active in assisting the local orphanage and senior living facilities. The store keeps its customers informed about events and new products via a variety of initiatives, including an informational website, though future plans include an e-commerce site. And, of course, social media is playing an increasing role. “With so many changes in the digital landscape, it is imperative that our presence is known through social media, such as Twitter, Face- book, Instagram and Pinterest,” says Girish. As for trends, Girish says that men’s watches are booming at his store and account for about 49 percent of the company’s sales. Women are looking for timeless, classic designs in their timepieces. Thus it seems that with its great location and inventory of watches and jewelry, Little Europe Jewels & Time is sure to remain on the list of must-see places when visiting the island of Aruba.